If you read my previous post, you will know that my husband and I wanted a little escape so we headed up north to Blue Mountains on a weekend retreat. When you mention Blue Mountain, most people in Toronto will know exactly where you are going as it’s a place most go skiing in the winter. 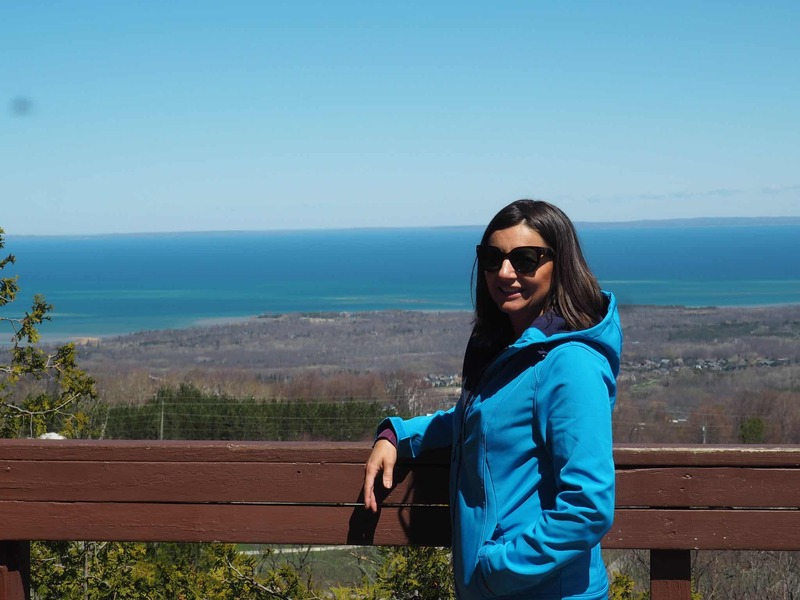 There is so much to do besides ski at Blue Mountains. 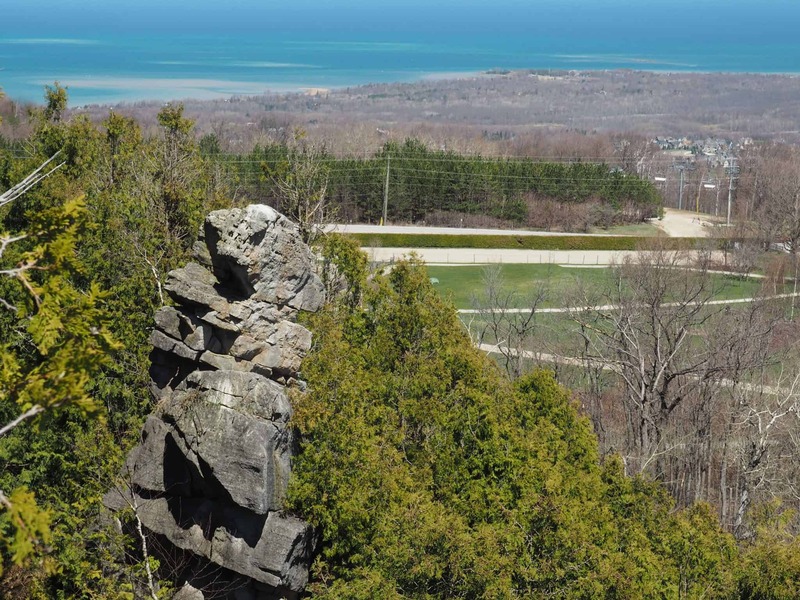 It is also known for Scenic Caves and Adventures. 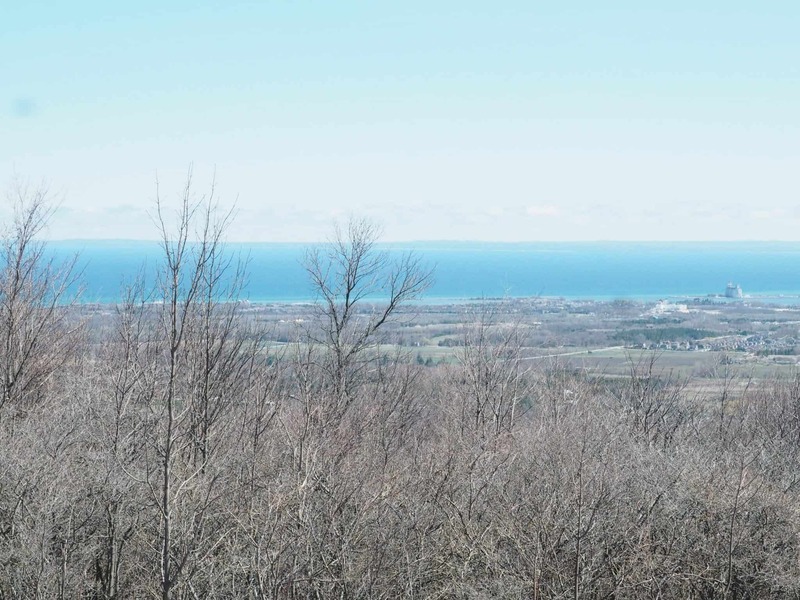 It is located two hours north of Toronto. Leaving all the hustle and bustle of city life behind us, we headed up north to explore the natural wonders. 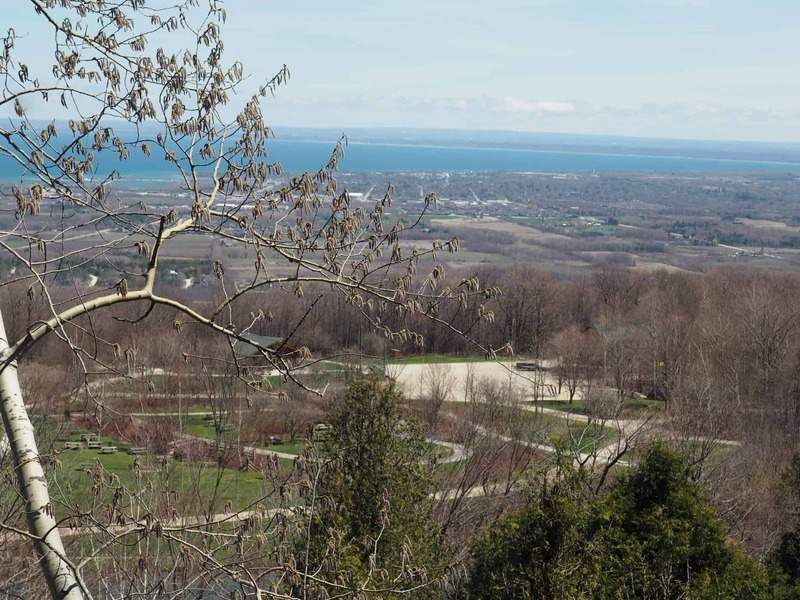 Scenic Caves is one of Canada’s Great Natural Wonders. The caves and caverns were formed from the hundreds of years that followed the Glacial Ages. 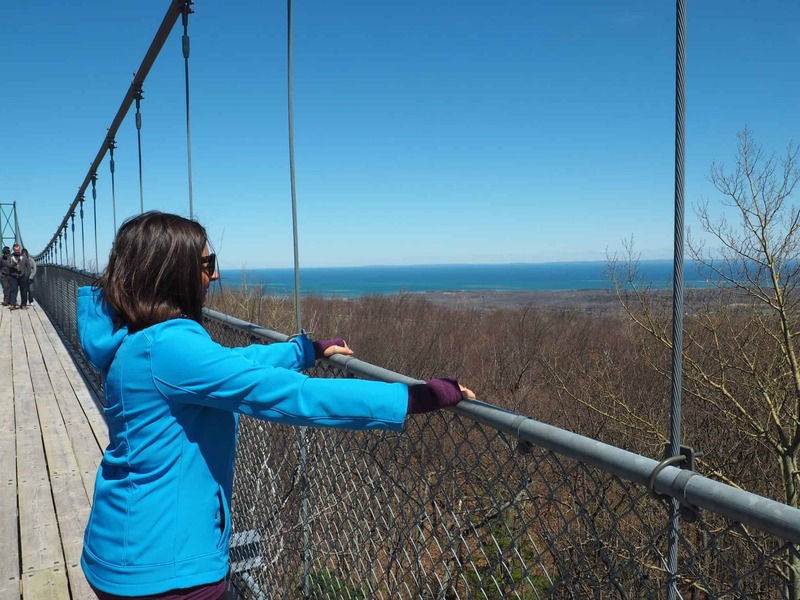 The Scenic Caves has been a tourist attraction for over 70 years and in 2003, they also included a new suspension footbridge – the longest in Ontario. The Scenic Caves Nature Adventures features one of Ontario’s longest suspension bridges; an aerial treetop walking course; ziplinesrs; Nordic skiing, and snowshoeing; self-guided exploration tours of ancient caves, caverns and geological feature; forest hikes; spectacular mountain-top views plus family based activities such as: gemstone mining; mini-golf and a children’s playground. This is a UNESCO World Biosphere Reserve experience. 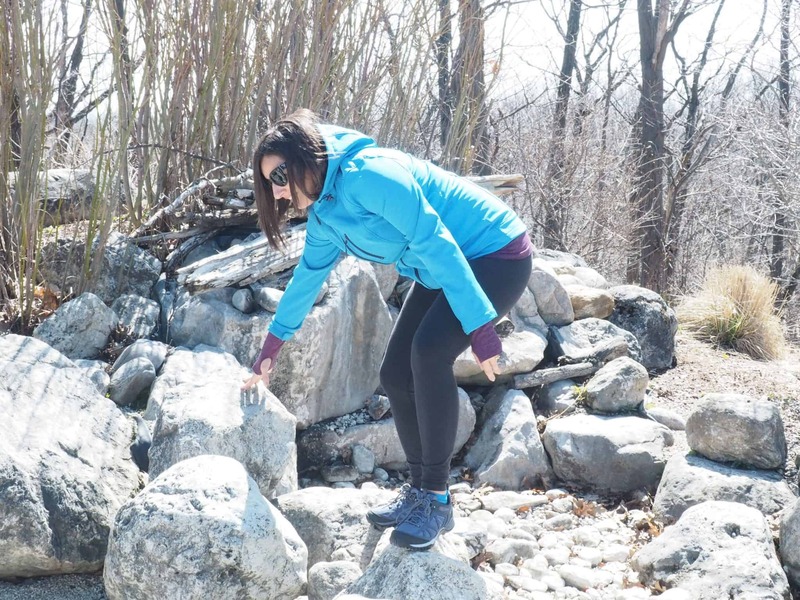 You should plan to spend around 2 – 3.5 hours to make your way around the trails. 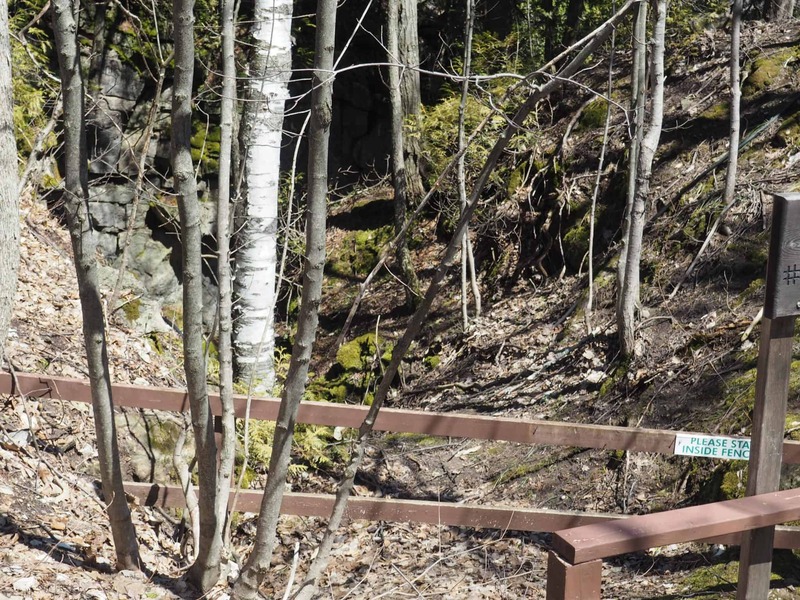 The trails are well marked and a trail map is provide upon arrival. My husband and I love hiking. It’s a great gentle activity that anyone can enjoy as you are able set your own pace. It’s accessible as all you need to do is get outside. 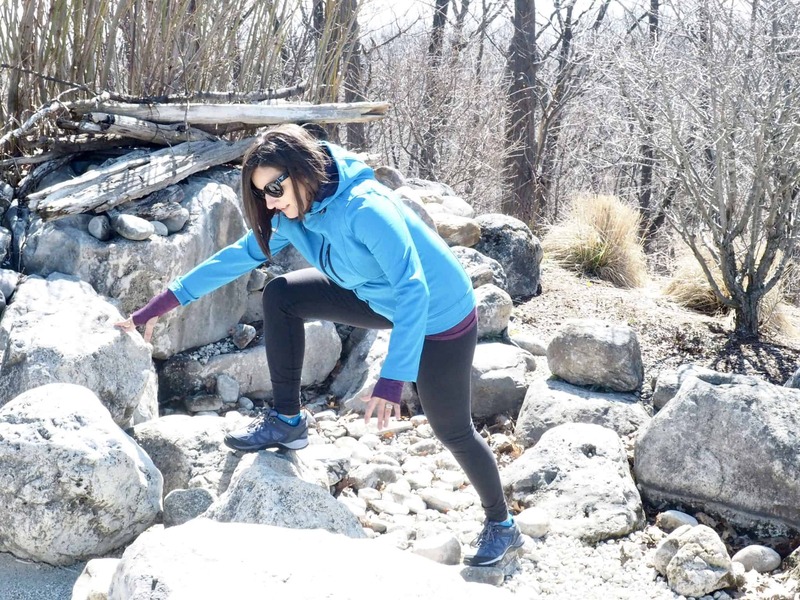 It is also a great way to explore nature. 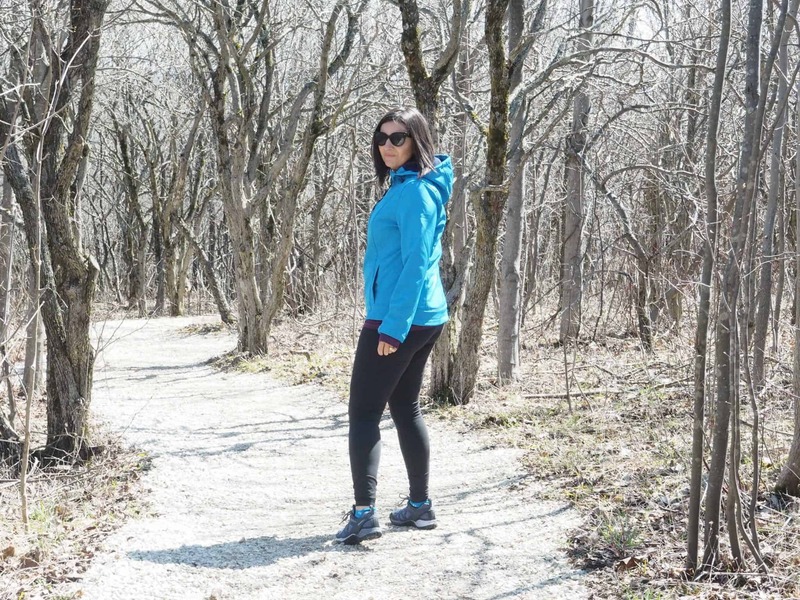 Regular walking will strengthen your heart and lungs, improve circulation, assist with weight control, tone your muscles, and keep your bones strong. It’s so accessible, too. With a good pair of shoes and clothing to suit the weather, you can head out the door. A snack, especially if you are on a longer hike. You will need to refuel. 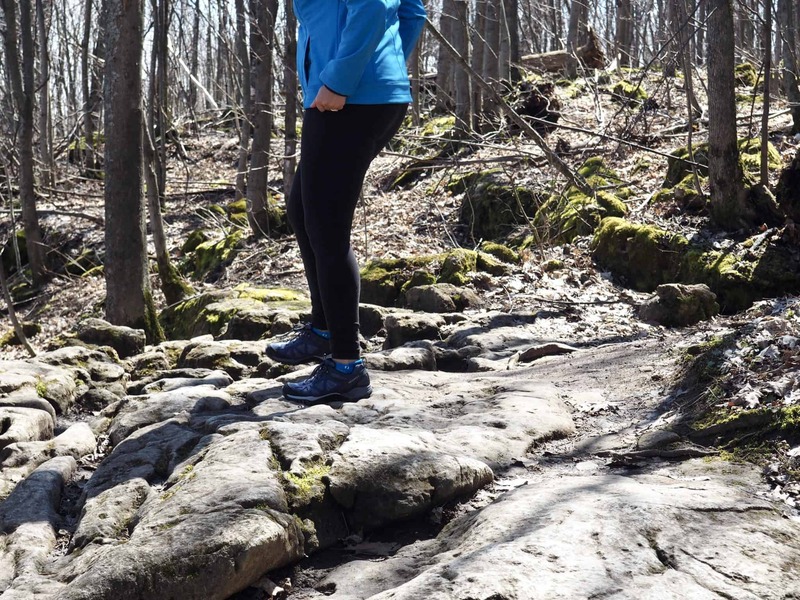 We hike various local trails and have always hiked in our running shoes. While this may be okay depending on the trail, nothing beats a good pair of hiking shoes. 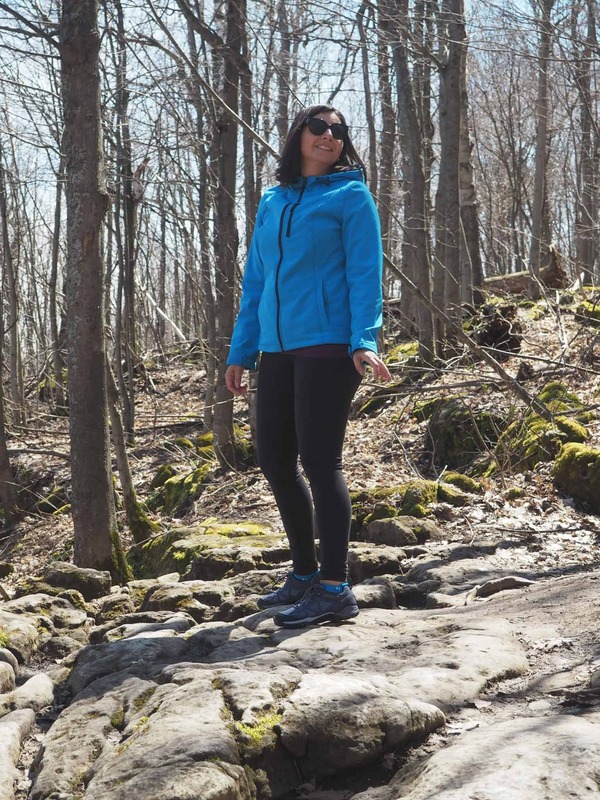 My husband and I received a new pair of Merrell Hiking Shoes and we wanted to try them out during our Scenic Caves Nature Adventures hike to see if they are different than wearing normal running shoes. I wore the Siren Sport Q2 in Crown Blue. These shoes are comfortable and offer a lot of support. 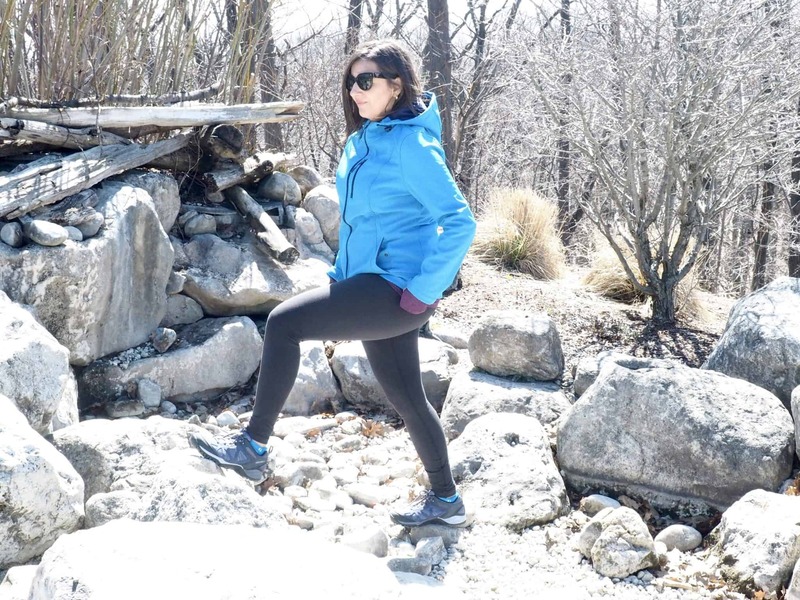 This waterproof hiker is engineered for the way women move, offering support, alignment, and gender-specific stability. 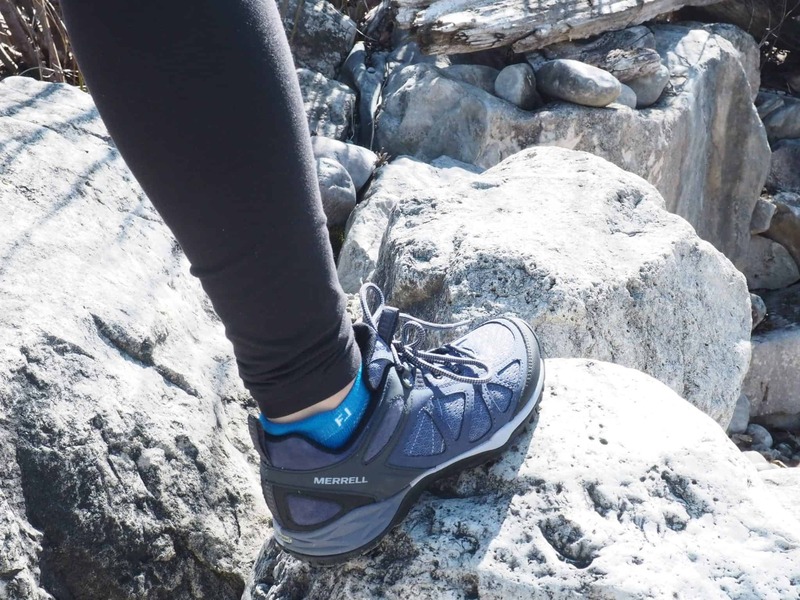 When you go hiking you want a shoe that will give you support as your climb around the terrain. I would highly recommend that you try these on before ordering as to my surprise, I had to order a full size up. 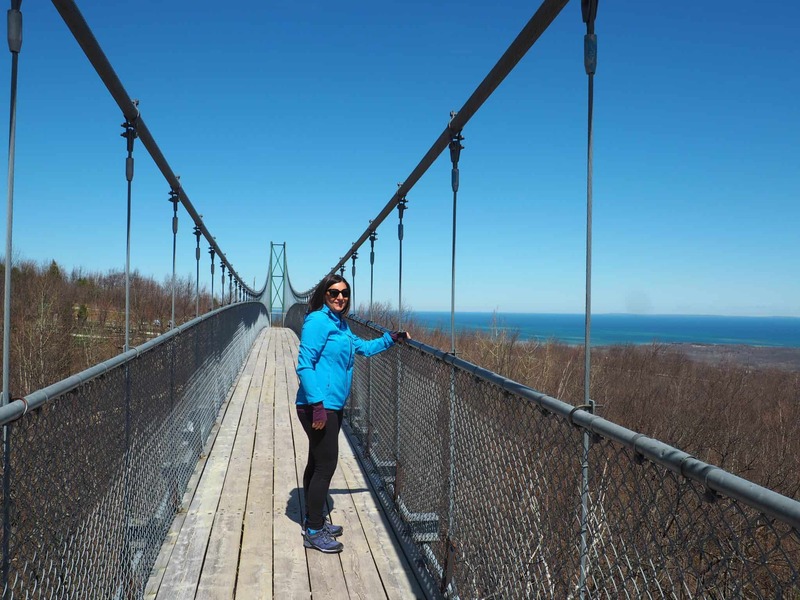 We decided to hike towards the suspension bridge first. We slowly made our way across the suspension bridge. 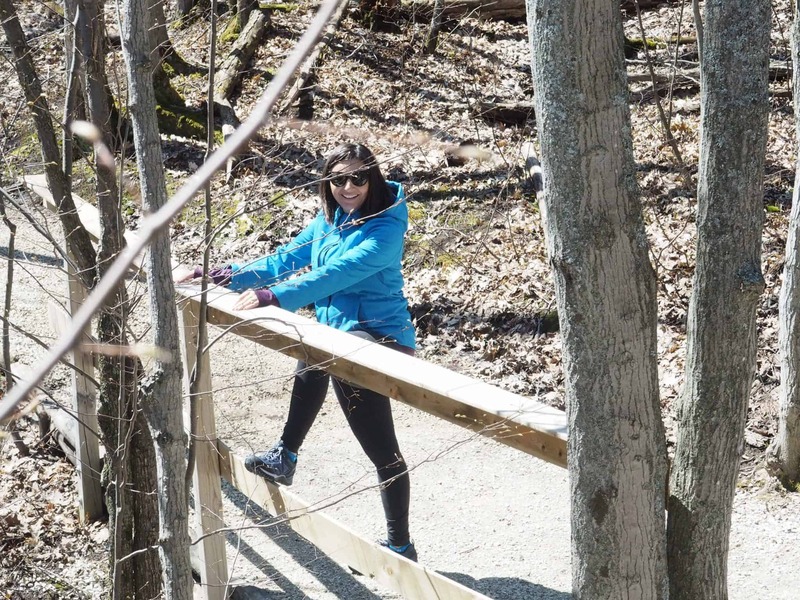 When I say slowly, I mean I was holding the railing for dear life and trying not to sway the bridge. The more people that are on the bridge, the more it moves. Although it is super safe, just the feeling of the bridge moving made me feel uneasy. As we got to the other side of the bridge I saw kids running across it like it was nothing, they kind of made me feel like a whimp. When we walked back across the bridge I felt more confident. 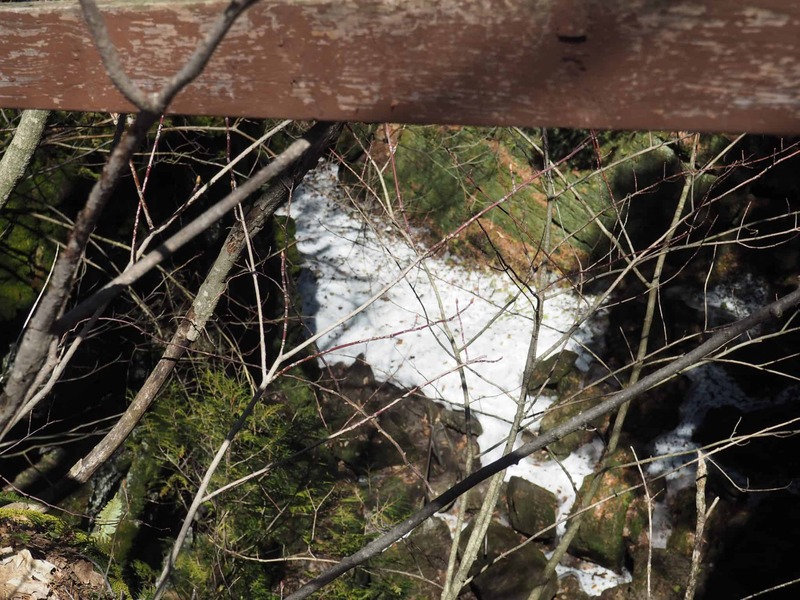 Our pass gave us access to the property’s self-guided trails, caves, and suspension bridge. Unfortunately the caves were still closed as many of them still had ice and snow in them so we weren’t able to experience them. We made our way to the Thuder Bird Twin Zip Landing. What a spectacular view. It was so peaceful and the view was amazing. All we needed was a cup of coffee or glass of wine and we could of sat there all day. We hiked back towards the pond and rested for a bit before heading out to the other trail. Although these were easy trails, we were actually feeling a little tired after our hike. 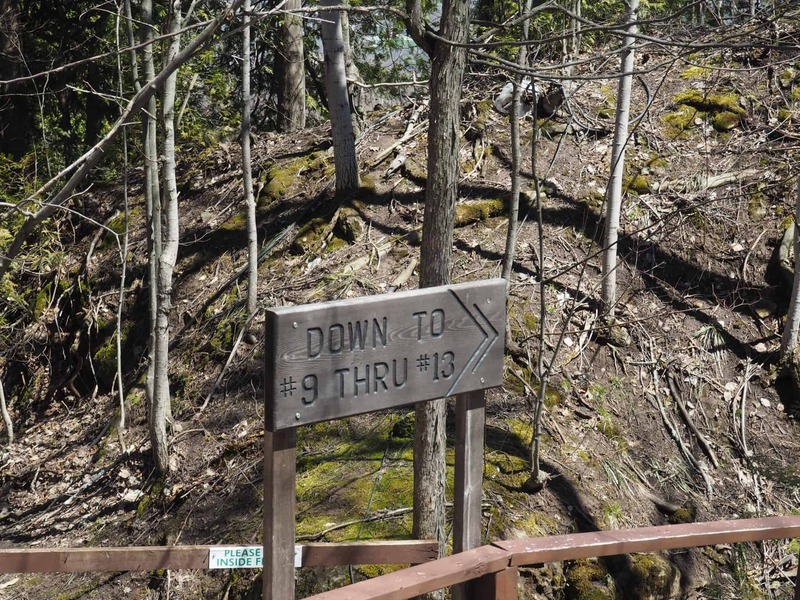 There are a few up hill parts of the trail that makes for a great workout. 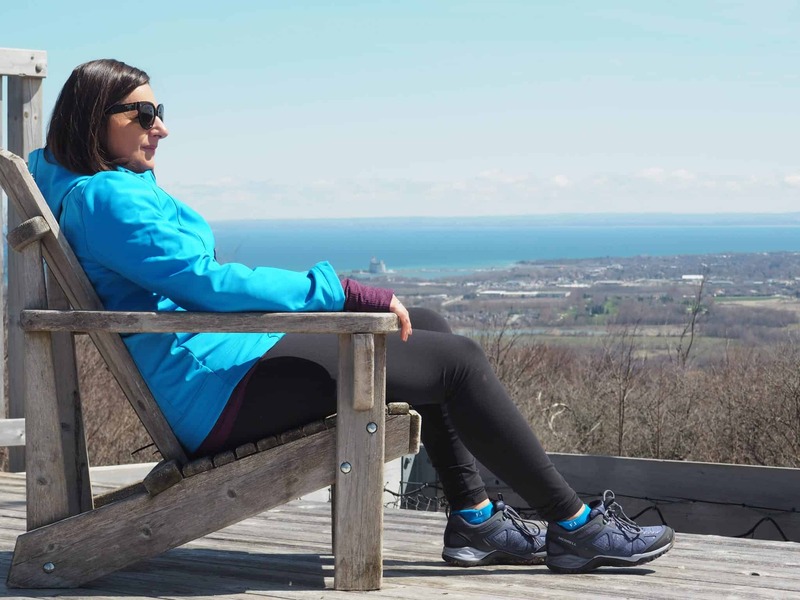 I would highly recommend a hike at the Scenic Caves Nature Adventures and the Merrell Hiking shoes. 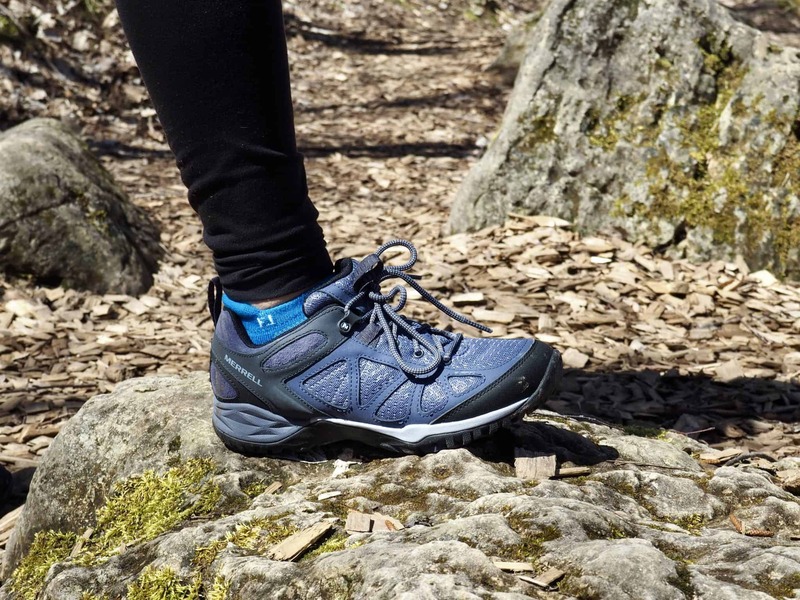 I can’t wait for future hikes with my new Merrell kicks. Do you hike? Do you have a favourite trail?